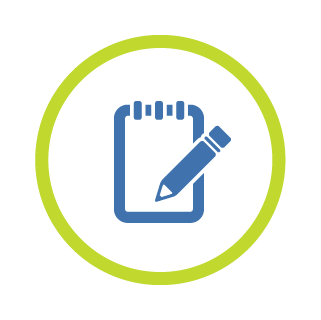 Reference Guides and Resources: Navigator® Reference Guides and ICD-10-CM Resources put the information needed at the user's fingertips. Available for select specialties and in print and electronic formats. Self-study Education: Self-paced online courses, assessments, consultant-led on-demand webinars and resources provide learning opportunities that save time and money. In-person Training: Coding Strategies consultants provide expert, in-person training. Start the dialog today and we will contact you with customized solutions. Coding Strategies ICD-10-CM Navigator® Reference Guides include explanations of guidelines, real-life coding scenarios, exercises and graphics. Still looking for the right training? Create your own customized training program from our extensive offering. This web-based platform is secure and requires no plug-ins. Continuing Education Units available. Coding Strategies Listen-and-Learn webinars are a convenient, cost-effective way to train for ICD-10-CM. 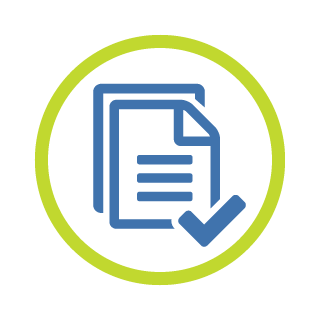 Navigator Reference Guides walk you through the basics of ICD-10-CM, including code format, conventions, and coding guidelines, and then addresses specialty-specific issues within the individual ICD-10-CM chapters. To discover the best training options, you need to know what type of learner you are. Take the quiz. Dr. Jill Brooks of First Healthcare Compliance hosts Karna Morrow, CPC, RCC, CCS-P, AHIMA Approved ICD10 CM Trainer, Manager of Consulting for Coding Strategies for a discussion on the upcoming changes for ICD-10 2017. NueMD®, a medical billing and EHR software company, provides a convenient ICD-10 coding system. The simplified format offered by NueMD helps doctors, medical billers, and other healthcare professionals thrive. The interface is designed to make finding ICD-10 codes easy for any user. Search by code or description, easily access recent searches, and save your most commonly used codes to your own personal lists - and it's totally free! NueMD is committed to continuing to enhance the Code Lookup and welcomes your feedback and suggestions! Complete list of 2016 ICD-10-CM valid codes and code titles. Online training available for a variety of specialties from fundamentals to common specialty services. Content for coders and physicians. Designed to truly test preparedness for what's to come. ICD-10-CM Proficiency Assessment presents 60 randomly generated questions to test knowledge of specialty coding in an ICD-10-CM world. Developed and presented by a physician, the ICD-10 Documentation Training for Physicians eLearning library shows physicians how to document specialty-specific conditions in ICD-10. 20 podcasts designed for radiology physicians, provide information needed to ensure proper documentation for ICD-10-CM diagnosis coding. Podcasts: ICD-10 for physicians, by physicians. Coding Strategies experts outline implementation guidelines. Coding Strategies experts explain how non-coding staff will be effected by the implementation of ICD-10-CM. The implementation of ICD-10-CM will not be as easy as flipping a switch to new codes. Oncology practices should develop their implementation plan to include a systems inventory, impact analysis, communication plan, contract review, develop or attend education and training, and analyze business processes. How else can we help your organization succeed? In an ever-changing regulatory environment, you need a trusted advisor you can rely on to help your organization operate with maximum efficiency, accuracy and in complete compliance. Find out how we can support you through ICD-10-CM and beyond. Begin by letting us know how we can help you succeed.